TESTASHADOW has often flown under the radar but he’s proved time and time again that when he’s in good form he’s competitive at Stakes level. And trainer Gary Portelli said he’s in another purple patch heading into Friday’s $160,000 Listed Wyong Gold Cup (2100m) with the Elite Thoroughbreds galloper. The proof of that occurred last weekend at Rosehill when he ran third to star horses Avilius and I Am Serious. Portelli has him on the quick back up, which is also a good sign, as he tries to beat the likes of Morton’s Fork, Harper’s Choice and grand old stager Destiny’s Kiss. “He was set to peak last weekend and he certainly did and I was really proud of his effort,” Portelli said. “That run was close to a personal best. Testashadow, who has won at Listed level and placed in Group races, is untested at Friday’s trip, and that’s what concerns his trainer slightly. But he’s had runs over 1500m, 1800m and 1900m and is working up to the trip nicely. Portelli said the speed of the race will play a big part in his horses’s fate. “He takes a few runs to get fit,” he said. “I’ve never thought of him as a horse that would get more than 2000m but the fact he’s drawn barrier one and is on the quick back up and is at his peak means now is the time to try it. “It’s a small field and I hope they go along at a nice gallop but don’t make it a test of stamina. If that was the case we might be found wanting. It’s a tough little field facing Testashadow with most of his rivals making a winning case. Portelli singled out the one to beat. “Harper’s Choice will be hard to beat but we’ve got barrier one and he’s only got 56.5kg on his back and it looks like he’s a top three chance,” he said. “Hopefully he positions up in the few couple pretty comfortably from a good gate. Rachel King is riding him once again and she’s hoping to do what Samantha Clenton and Deanna Panya have done in the past and get him over the line in front. 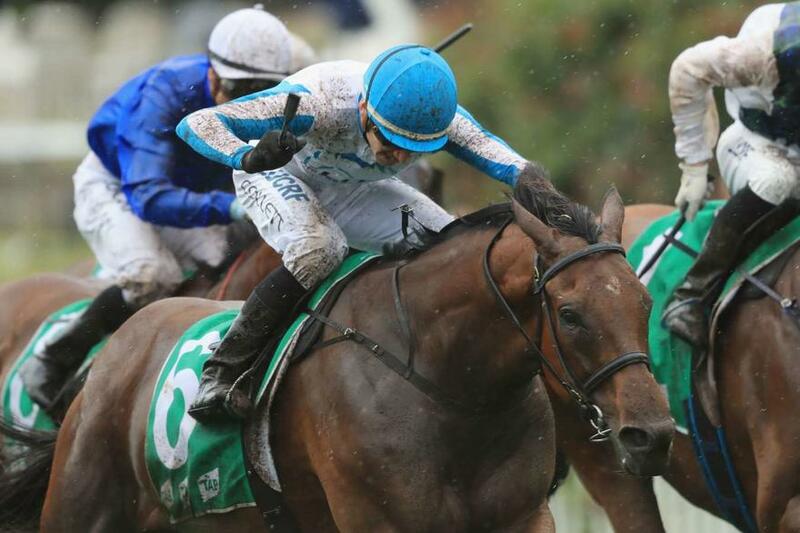 King does rides stayers particularly well which was evident in the way she got Royal Stamp over the line in a 2000m event at Rosehill on the weekend. “She rides very well and this horse goes well for female jockeys but out of all the girls that have ridden him she hasn’t won on him yet so it’s her turn now,” Portelli said.